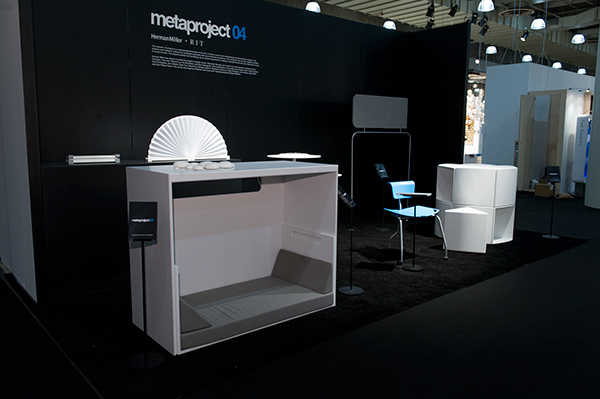 Metaproject is an annual course taught at the Rochester Institute of Technology. Each year, RIT partners with one leader from industry. 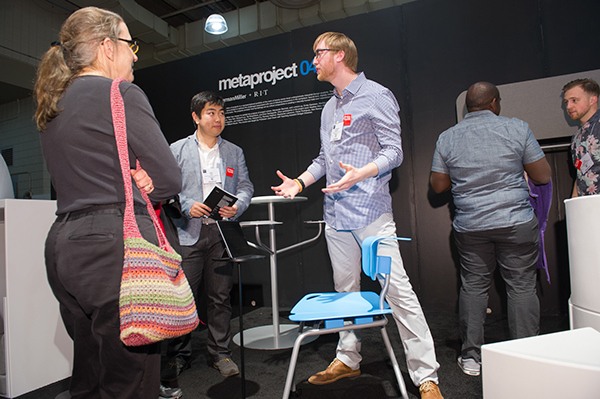 Metaproject's 4th iteration collaborated with world renown furniture company Herman Miller. 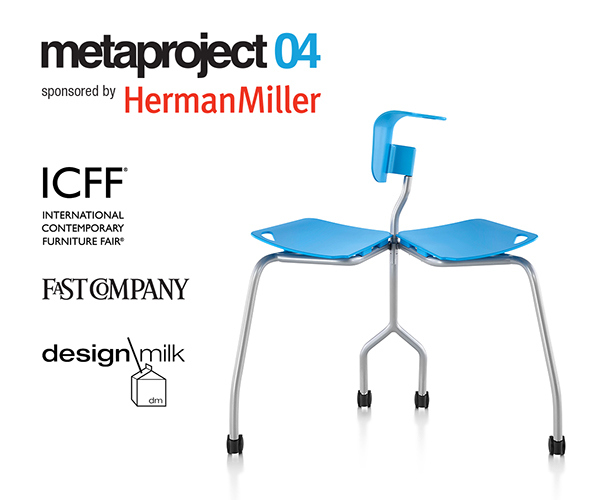 Herman Miller selected 1 winner, the Invitation Chair, and 7 runners up. 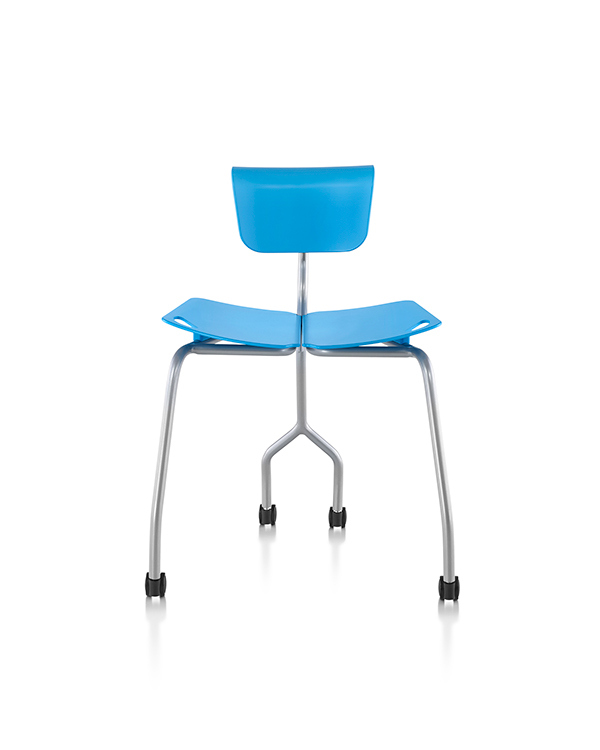 2nd generation prototypes were created by Herman Miller and sent to ICFF. 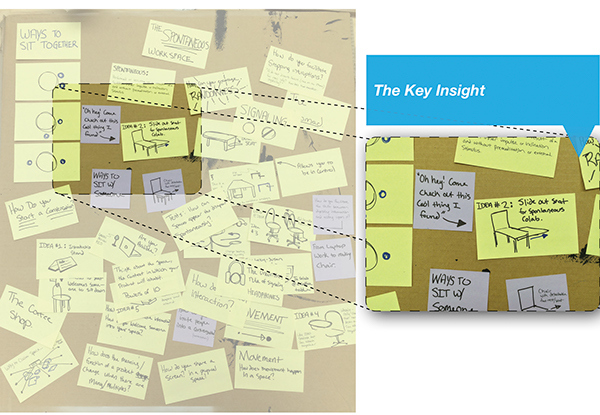 The office serves as a hub of interaction, much of it predicated on digitally mediated conversations. 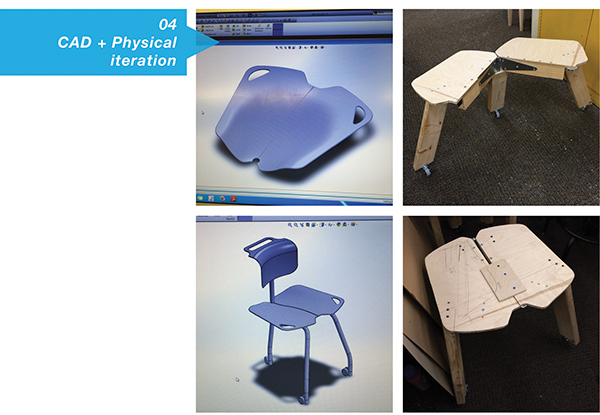 An object within that context should further encourage and enhance those interactions. 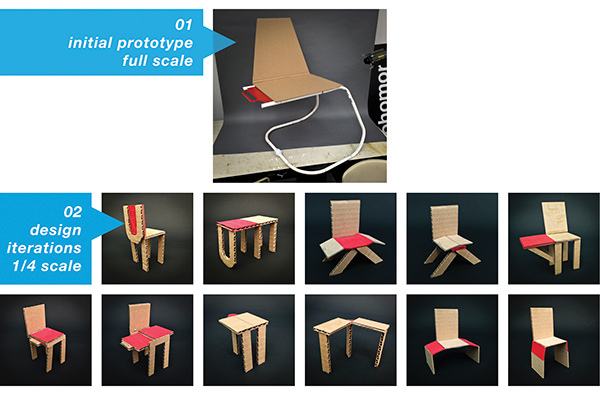 The Invitation Chair allows for the creation of a temporary shared space to collaborate, by allowing a user to share their seat with someone. 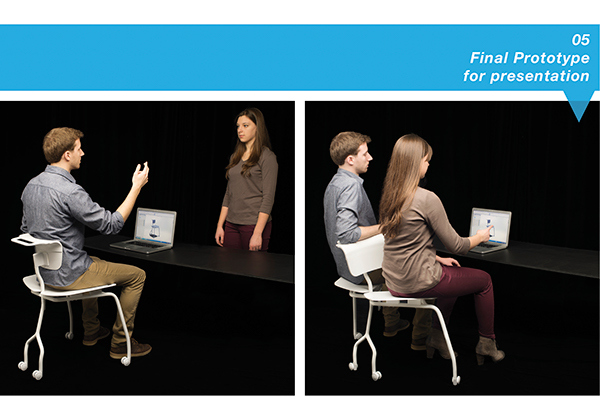 The chair facilitates short bursts of interaction between two people who must focus their attention upon a computer screen while seated. By making it easier for workers to collaborate including the computer as a ‘third entity’. 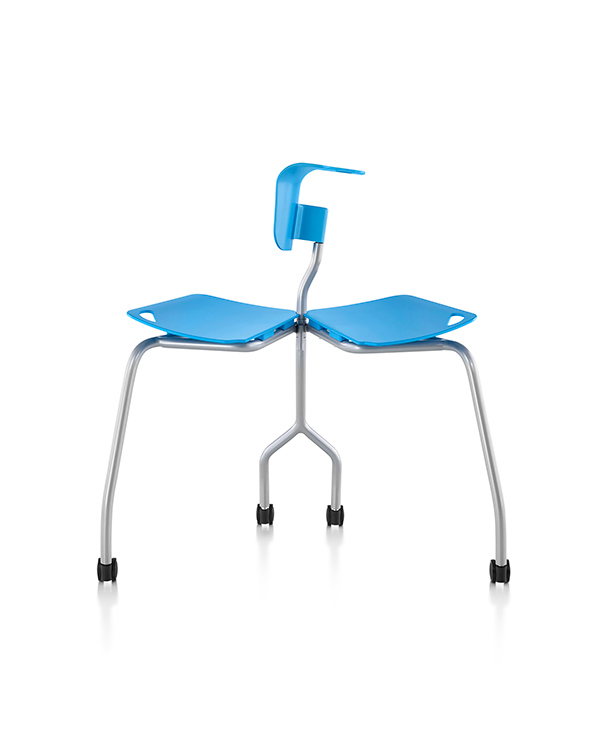 The Invitation Chair promotes a stronger workplace camaraderie and encourages creative thinking.